After graduating from High School top in his class, Jason attended Grove City College and received his Bachelors degree in Music Education. To pay for college, he worked in the residential home improvement business all through his schooling years. Once he began his professional career in Music Education, he continued to work summers in construction to keep engaged in the field. He eventually decided to focus full time on construction and home improvement. 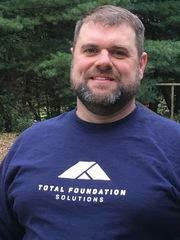 Jason truly enjoys the challenge each project can bring and satisfaction of solving homeowners issues. When he is not working he is helping the local High School marching band and spending time with his wife and 8 children.